Competitors, I hope you all made good use of the past week. Now, it is time to get back into it. Only three challenges remain before a winner will be crowned, and each one will be increasingly more complex. Now, on with the game! While rides and theater productions are among the most popular elements of a theme park visit, no attraction draws as many people at one time as a street performance. Sometimes taking the form of a parade and sometimes a mobile stage production, street shows can be of nearly any scale and can draw anywhere from a hundred to thousands of visitors to a single performance. This is your next task...create a street show that fits within your park. For this challenge, you must design a street show which can roll out, perform, and then disappear as though it never existed. What counts as a street show? For the purposes of this challenge, a street show is a live event which must take place outside of any permanent venue, instead occurring on the “streets” of your park where all visitors in the area can see the event. This is a broad category and can include everything from parades to marching bands. Smaller “streetmosphere” type performances (such as a string quartet or staged gunfight) are not recommended for this challenge, as we are looking for the type of show most visitors would wait for rather than one they may stop and watch for a few minutes as they pass by. All proposals must be submitted by Saturday, July 16th at midnight. First off, I would like to thank all the judges for giving me another chance to compete. I value your critiques and advice. Next on the adgenda is a question. You wrote that the show "must take place out of a permanent venue". My park surrounds a lake, can I perform a show on the water, or does that count as a permanent venue? I was thinking about water as a possibility too (although I haven't yet "got a scooby" (as they say up here) about what I'm going to do. That would be fine for both of you. Just remember that setting up fixed seating or an entire venue is prohibited. Water-based shows are fine provided they don't require any permanent fixtures. For example, a boat parade would be perfectly acceptable, but a fountain show would not. You also may not create a designated viewing area for the performance, though you may choose to perform it primarily near a specific section of the park. So...we cannot use any permanent fixtures? I suppose that means we can't have lighting rigs set up throughout the park. There can be no soundtrack speakers, unless they're hauled in every day by teamsters. Projection mapping can only be on mobilized surfaces. The lake cannot be manmade. Performers must be interns. Right? Let me clarify that...no show-only permanent fixtures. In other words, anything in your show that does not move backstage between performances should be something in active use outside of performances as well. You're welcome to mount high quality speakers throughout your park for the performance, then use them for background music at other times. Same thing with lighting...you can put up lighting rigs that supply special show lighting during the performance and normal lighting at other times as needed. What we don't want is something like Disneyland's Fantasmic set-up, where all the equipment is concealed underground during the day and then simply pops out for the show. Winter in St. Petersburg can be fantastically cruel. Temperatures regularly drop below freezing, and the sun is visible for only six hours of the day. But St. Petersburg does not hibernate! It flourishes! From its ballet, orchestras, nightclubs, and winter sports, the winter transforms and energizes St. Petersburg. Buyan Park is eager to join this vibrance. Rather than locate its signature “street show” in the park’s vast and comforting indoors, “Fantazima” braves the elements! The snow and the cold, potential stumbling blocks, become the greatest assets of an ice spectacular steeped in Russian fairy tales and music! The Palatial Gardens – a substantial sub-area of the Promenade entry realm – are Buyan Park’s largest outdoor section. Inspired by the royal gardens of the tsars, Palatial Gardens host Buyan’s calendar of seasonal events. In the summertime, guests enjoy romantic walking trails, picnicking opportunities, and casual boating upon Lake Kitezh. 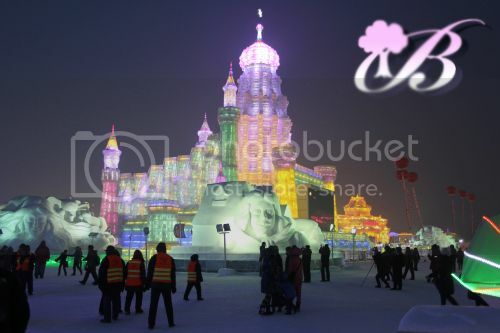 In wintertime, Palatial Gardens magically transform for the enchanting Buyan Ice Festival. Held from October through February (weather permitting), the Buyan Ice Festival is host to dozens of engaging wintertime activities. This popular event is the first of its kind in Russia, modeled on similar festivities in China and Scandinavia. Activities include snow sledding, troika rides, and ice skating on the frozen Lake Kitezh. Unique ice sculptures make every year distinct. Guests stay warmed with cocoa and steaming hot borscht. Most notable are the gigantic ice structures embedded with multicolor LED lights, which give the nighttime a warming and vibrant glow. Lake Kitezh and its surrounding environs are an ideal setting for an end-of-the-day spectacle. Our setting near “The Feast of Alexander Nevsky” (see Challenge 3) allows for a common backstage and shared performers. This grand arena is near the Promenade’s entry gates and the central Great Oak Hill, yet apart from regular foot traffic – minimizing congestion. A dedicated outdoor park exit, The Gate of the Heroes, bids guests farewell without routing them back indoors. Located along the space dividing the Palatial Gardens from the interior Promenade is The Great Buyan Coat Check, where arriving guests may deposit heavy winter fur coats (for free) while indoors, and collect them later for the Ice Festival. Our show is also easily visible from hotel balconies at the nearby high-end Grand Slavic Palace. 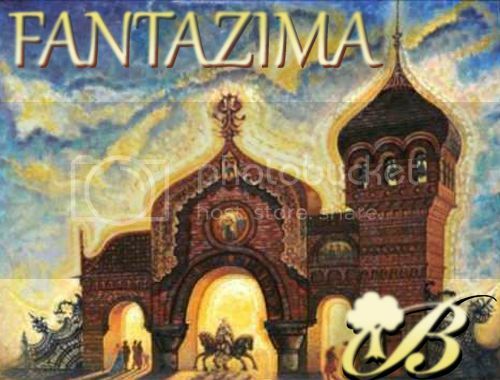 “Fantazima” – a Russian portmanteau of “winter” and “fantasy” – is a 26-minute-long display of ice skating, color and song set to (an abridgment of) Modest Mussorgsky’s “Pictures at an Exhibition” orchestral suite. This work is not selected arbitrarily; it is a major influence on the whole of The Promenade, including Buyan Park’s entry gates. Mussorgsky’s work describes an art gallery tour, with each musical movement accompanying a painting by the late Viktor Hartmann. “Fantazima” uses this same framework. Hartmann’s paintings regularly depict scenes from Russian fairy tales; where they do not, Buyan Park selects its own fantasies. Guests, exhausted yet exhilarated at day’s end, will recognize characters from rides and shows they’ve previously enjoyed. The show and the music begin serenely, a simple transition from “The Winter Gallery.” Park walls bear projections of Hartmann’s surviving artworks, previews for the show-to-come. Onto the frozen stage skates the Observer, our star. “Fantazima” is staged primarily upon the ice, its cast made up of Russian Olympic figure skaters (much like the old “Ice Capades” or “Disney on Ice”). While Lake Kitezh is massive and easily visible, live projections of the skaters aid viewers. The Observer casually strolls the gallery. Other skaters, invisible in black, glide past bearing framed paintings. Now and throughout “Fantazima,” LED lights from the monumental Ice Festival architecture provide the ever-changing mood. Music and lights shift suddenly. The Observer fades. We enter the world of the first painting. The titular gnome is in fact a nutcracker – our Featured Skater (FS) – who skates clumsily on crooked legs. With lurching and comic tempo, he is joined by sugarplum fairies. With influence from Tchaikovsky’s “Nutcracker Suite,” dancers enact an engaging ballet of spins, jumps and spirals. This piece depicts a vibrant garden in late autumn. Ice skaters dance as merrily-festooned flowers and frogs and tumbling fall leaves. This is a short scene, but full of life. The Observer remains visible, an increasingly regular participant. Onward to a slower, more lugubrious piece. Winter lighting heralds the lumbering Tsar Saltan (FS). Stagehands roll out set pieces depicting the Tsar’s palace, based on Hartmann’s “Old Castle” artwork. As in the park’s legends, Saltan banishes his faithful wife to the ocean in a wooden barrel. Black-clad skaters depict the undulating sea waves, which toss her barrel adrift. As the music slows, the seas too calm, frozen to snow by the winter chills. The Observer comes to, the gallery now coated in the snow from Saltan’s winter storm. He tours, his world increasingly blended with the world of the paintings. With whimsical flutes, dancers emerge as unhatched chicks. Their shell costumes resemble ornately-painted Russian Easter eggs. These chicks dance awkwardly in the style of Petipa’s ballet “Trilby,” often “accidentally” bumping and sliding. The Observer struggles to avoid their crazed waltz, providing extra humor. Lights darken and the Observer descends into caverns. Plodding music accompanies the gigantic subterranean snake Poloz (FS), trailed by a train of skaters under wrap (like a Chinese New Year dragon). Oboes describe cave-dwelling Karzelek dwarfs, who compete with Poloz for sparkling LED diamonds glistening in the tunnels. A more playful scherzo ushers in the springtime. Black-clad skater-butterflies somersault energetically amidst a cornucopia of bright hues. Various dark-clad skaters manipulate an awe-inspiring Firebird puppet. This oversized prop sparkles with embedded LED. The Observer, increasingly involved with the pageantry, joins in with the butterflies in their elaborate ballet-inspired choreography. Projections turn black & white. A melancholy segment begins. The Observer is plunged into the evil catacombs of Koschei the Deathless (FS), immortal sorcerer of Russian folklore. Koschei torments the Observer with a troupe of pirouetting skeletons. Around 20:40, the music’s grandeur heralds the entrance of the Zmey. Like the Firebird puppet, the three-headed, multi-colored dragon Zmey is manipulated by unseen skaters and a massive float base. The Observer flees as the great beast breathes fire! Koschie fades, only to transform into a greater terror: The fearful witch Baba Yaga (FS)! She commands the same skeletons, who wield flaming whips (a trick seen in modern “Ice Capades”). Most horrifying, the Zmey puppet reconfigures into BabaYaga’s illogical, chicken-legged hut. Skaters clad as giant chicken legs lead the massive hut-shaped set piece. This nightmarish monstrosity chases the Observer. ...the hut magically shapeshifts with shining brightness into the Great Gate of Kiev! Hartmann’s never-built design is Buyan Park’s iconic entry gate, and a fitting centerpiece for her end-of-day spectacular. Additional mobile stages roll onto the ice to flesh out the tremendous structure. The skeletons doff their shrouds and become beautiful swans. (Magic is strange sometimes.) 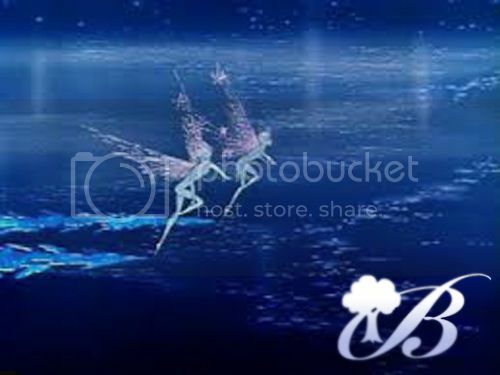 Baba Yaga now becomes the lovely Swan Princess (FS). All remaining skaters join onstage in a great assortment of costuming from throughout the show. It is now summertime at its vibrant height! Bells ring out! Skaters perform amazing feats! Lasers, sparklers and pyrotechnics all shoot from the Great Gate of Kiev! The sun seemingly rises behind it! Music and spectacle build over six glorious minutes to an exalted, awesome, oversaturated finale! “Fantazima” runs from October through February, when the lengthy winter nights ensure ideal show conditions. 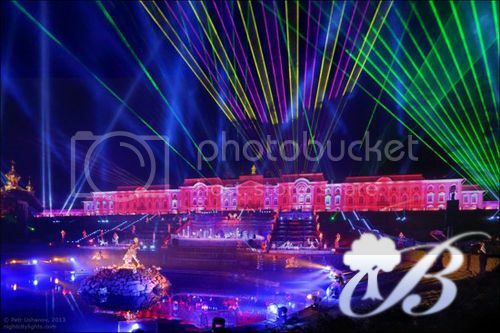 It is staged nightly from 9:00 to 9:26, with a second show on peak days from 10:30 – 10:56. During the transitional “nautical twilight” months of March and September, there is no outdoor program. This time is used to transform and thaw Palatial Gardens. This summer program performs daily at 8:30 PM, and additionally at 10:00 in June and July when the days lengthen. Buyan Park is proud of “Fantazima.” While many parks might avoid the outdoors at wintertime, Buyan embraces this beautiful and unique season. World-class figure skating is a draw most theme parks cannot boast. The loveliness of the Ice Festival adds further dimension. “Fantazima” is the perfect capstone to a day at Buyan Park. It references attractions already enjoyed, and creates a high note to tie everything together. Who said that royalty didn’t like to celebrate? At Music Lights the Dark, witness the greatest nighttime performance right at the heart of Disney Royal. Featuring stellar dancers, special effects, and the Disney royalty themselves, Music Lights the Dark truly ignites the bright spirit of Disney. During the Festival of Lights show on the lake, the mobile stage for Music Lights the Dark enters from a side entrance from the opposite side of the park at the French Quarter. During its placement, the mobile stage does not make a noticeable presence. The mobile stage is centrally located at the end of Royal Boulevard, near the entrance to Royal Waters. The Festival of Lights show begins at 7:30pm and promptly ends at 8:30pm. Each night, at 9:30pm, Music Lights the Dark begins and lasts for a total of 22 minutes. The lights surrounding the mobile stage’s area will dim into darkness. (0:00-1:46) The dance music reflects the atmosphere of the celebration. For the performance, all music lyrics and raps are in the local language for understanding. A sparkle of light illuminating the edges of the stage and then dims. Suddenly dancers in glow costumes illuminate on the stage. Conceptually, these dancers resemble the performers for Music Lights the Dark, with the exception of more colorful costumes with added lights to enhance them. They begin their dance routine, and in a shimmer of light, Mickey Mouse appears to serve as the DJ for the performance. After an introductory dance, he takes his place at the back of the stage with all of his DJ equipment. As he places his bright headphones on, his area suddenly darkens slightly to set the stage for the next set of performers. The color of the dancers quickly transition to a subdued yellow. Belle appears in a shimmering twirl. She is dressed a semiformal dress resembling the original yellow ball gown. She is later to be accompanied by the Beast. Their dancing is a combination of both traditional royal partner dance and contemporary pop, with swift constant movements to the beat. The music transitions, while the dancers adeptly dance while moving to their next position. Bubbles surround the guests as the party continues. Only the aqua curves of the dancers can be seen, as they twist among a large clamshell that illuminates. Suddenly, as the flute picks up the main melody, the clamshell springs open to reveal Ariel. Elevated through darkened support, Ariel swims across the stage in singing “Under the Sea,” with a hint of lyrics and integrated music from “Kiss the Girl.” Colors of fish and other sea creatures surround her, while an octopus in the corner waves its long tentacles to the beat. In a timely transition, the fish and glowing bubbles surround her and Ariel fades into the darkness. The darkened dancers in center stage hands’ illuminate in color, and fly away like birds from an suddenly illuminated Pocahontas. With simple colors and stunning lighting effects and ripples, the dancers portray natural elements such as the rivers and trees. Pocahontas picks up a stone and tosses it, as it bounces across the stage and creates rippling effects. The final ripple reveals a reflection of John Smith, and once she looks up, he illuminates before her. They dance together with swift yet smooth movements. As the song fades to transition, Pocahontas and John Smith dissolve into colorful leaves and fade to darkness. The beat quickens as a dance remix of “Touch the Sky” plays, still showcasing a heavy string melody. Blue lights appear among darker green shapes imitating foliage. Merida comes onstage, following the lights. Suddenly, she looks up and the lights disappear. Suddenly standing upright and firm, she draws an arrow and fires it to her right. Her arrow creates a rippling effect on a flat surface. Among her trees dance in the wind. Three small dancers costumed as bears scamper across a portion of the stage. Merida sees them and tries to follow them, but they disappear offstage. She continues looking, until her mother and siblings materialize out of the dancing trees and meet each other in a warm embrace, fading into the night. The trees still dance until they transition into still bush forms. Slowly fading to light, a peasant girl appears in ragged, ripped clothing. Cinderella looks up at a shower of light, as her Fairy Godmother magically appears. She gestures to the side, and a pumpkin illuminates. With a flick of her wand, the pumpkin bounces and grows to the size of a carriage. With another flick towards the ground, small mice illuminate, and four dancers costumed as horses appear. A coachman appears and footman follow in the magic. Cinderella looks down at her ragged dress in dismay. After inspecting it for a moment, her Fairy Godmother flicks her wand. In a twist and flash of light, the dress transforms into a beautiful ballgown. Cinderella steps to enter the coach, and disappears in a shimmer of light. Illuminated with the dancers are all of the princesses and princes showcased in the park: Beauty and the Beast, Ariel and Prince Eric, Pocahontas and John Smith, Merida and her family, Cinderella and Prince Charming, Aurora and Prince Philip, Kida and Milo, and Tiana and Naveen. They dance in synchrony, and sing along to the music. The show ends with a small addition of fireworks on the far sides of the stage, further illuminating the stage and showering it with light. The multicolored glow costumes are used primarily to disguise supporting elements, and darkened props and characters. The mobile stage is equipped with speakers; and the addition existing park speakers in the area also play the music for surround sound. At Music Lights the Dark, the music is nonstop, though subdued at moments. Seamlessly transitioned, the audio is as important as the visual elements to convey the performance smoothly. The stage floor can also be illuminated, as used in the Pocahontas scene. For safety reasons, cast members with soft glow wands are strategically positioned around the the spectators in case of emergency. Music Lights the Dark is a beautifully crafted performance that utilizes simple visual elements combined with upbeat Disney remixes to keep guests in high spirits. At this spectacular nighttime show, everyone is invited to celebrate like royalty. Hi guys, I need my real world pass this week, somethings come up this week I wasn't able to get out of. Sorry. Independence is a new live street show coming to America the Beautiful. This show will take place in “Liberation Lake”, in the center of the park. The lake gets its name from fighting for freedom from Britain and we fight for these freedoms still today. The most notable feature about this lake is that in the center guests can find a replica of the Statue of Liberty. She sits on an island covered in rough terrain and large rocks, symbolizing freedom, and welcoming guests of all communities and cultures into its gates. But once each day, this lake becomes so much more. For this lake is also home to Independence, an artistic representation of the battle of Yorktown, that ended the revolution in British surrender. Independence will use modern technology to immerse guests in the feeling of excitement that anyone who was there would have undoubtedly experienced themselves. The show will not be the most historically accurate, but theme park guests don’t want an eighth grade history lesson on Yorktown. The show will, however, have a strong historical foundation for most of the plot points, even if they have been updated with modern technology. This technology will allow guests to see an exciting, and artistic representation of a real-life battle. The show begins with a narrator, as many such shows do. They introduce us to the show, the battle, and its importance in the American revolution. They will also continue to narrate the plot and strategies of the battle. NARRATOR: Ladies and Gentlemen, welcome to America the Beautiful and this afternoon’s production of “Independence”, an artistic representation of the battle of Yorktown. This battle, however, will be full of stunts and new technology. Now, let’s take a look back at the battle that truly ended the revolution, and began the nation. At this time, soldiers begin to come out on the island. They all appear to be wearing revolutionary war uniforms. There are actors in both blue and white uniforms (Americans and the French) and troops in red and white uniforms (British). With about twenty soldiers on each side, this appears to be only one area of the battle. NARRATOR: Years of fighting and war had lead to this all or nothing battle against the British troops. The troops on the island begin a heavily choreographed battle scene. There are minimal gunshots, and most of the battle is close combat bayonet fighting. The troops are not fighting one-on-one throughout the island, but rather it is clear that the Americans are holding the British troops back as a group. Soldiers are each fighting several opponents at once, and defending against several as well. NARRATOR: The American and French troops are holding back the British from Chesapeake Bay, where British troops are trying to send reinforcements. However, the rebels could see this coming, and have positioned several ships of the French Navy to defend and block incoming forces. Now, two very large eighteenth-century naval battleships come into the lake in front of the island. They will enter from the left side, where there is a drawbridge and the lake continues to a storehouse for these ships. They are much smaller than in real life, so as to make the people on deck visible. As they “sail” across (they will actually be motorized, in preparation for the wind not to cooperate every day), they begin firing cannons at each other. Large “BOOM” sounds will go off, and fire will spew out of them for a few seconds. This type of firing happens for a few minutes, before the French and American troops make an attempt to board the British ship. The ship in the image below will be the French battleship. The British ship will look very similar, except for the blue paint on the bilge (bottom). This will be painted red, in order to keep armies distinct, so that guests do not forget who is who. At this point, a rope ladder is thrown (the ships aren't too far apart as the lake isn't huge) from the french ship to the british ship. The ladder is laying horizontally, not meant to be climbed. However, a man in a blue wetsuit comes swinging across. He is holding the rungs above his head and keeps grabbing the next rung and swinging himself to the next. He does this until he reaches the british ship where he throws himself over the railing and onto the ship. He throws the ladder back and motions with his arm “come here”. NARRATOR: The great spy Hercules Mulligan played a key role in devising the strategy for the battle. Here, he has sneaked onto the British ship and is sending for troops to come and battle the British troops. And here they come! What the narrator is referring to is a much smaller row boat full of four soldiers wearing blue wetsuits and their equipment. Each of them are equipped with an aquaflyer (water jetpack). When the rowboat reaches the edge of the British ship, they each take off, one by one. They all do their own set of tricks and stunts, sometimes coordinated with others. They all stop and hover for a moment about six feet higher than the boat’s railing, do a flip in sync and land on the British boat. They each take off their aquaflyers and take a gun from where the guns will be waiting for them by the edge. They also begin fighting, with minimal firing and a lot of fighting with bayonets. NARRATOR: The Rebel soldiers are in an attempt to get below decks, so they can damage the ship and sink it. This technique is called scuttling, and can sink an entire ship. It seems as though the British are sending a soldier out as well. NARRATOR: The American forces have now damaged the British ship to the point where the British must evacuate. Now, three British men on jetskis have left the British ship through a hatch in the back. These jetskis seem to be made of wood (even though they are not), with blue or red trim in a stripe down the front and sides. Their main focus seems to be getting to shore, but three French jetskiers have also been dispatched into the water to block their entrances to the island. All of this is happening while doing various jumps and tricks. As the British seem to have no way out, they simply try to get away from the French. The French chase them away, under the drawbridge not to be seen again. NARRATOR: The Rebels have defended the shoreline well, and it’s paying off. On the tallest rock, stands a man wearing a red jacket, waving a white handkerchief. NARRATOR: The British have surrendered. The rebels have won. The French boat fires all of its cannons as the American land forces cheer. What is a show without a great musical soundtrack behind it? Nothing. So Independence will have a score written by none other than Klaus Badelt. (Composer of the “Pirates of the Caribbean” film score). While the narrator is introducing the show and the troops are entering, the music is only a military snare rhythm. As the fighting on land begins, there is a recognizable melody, but nothing too intense. Once the ships appear the music has grown to full intensity and is played in quick rhythm and balance between light and heavy, alternating major and minor keys, to give guests the excitement and suspense of uncertainty that these soldiers certainly had. Once the jet ski scene has ended, and the british have surrendered, we are left with just military snare and a light tune with themes from “The World Turned Upside-Down”, a drinking song that the british troops marched out of Yorktown to. Once the cannons are fining and celebrations are happening, the music comes in full force with joy and victory. Music will be played on speakers in the area, used for mere background music at all other times the park is open. Independence will be a show to remember. Its spectacle and stunt-based roots provide the excitement of being in battle. The show requires six jetskis, three aquaflyers, and two battleships. It also needs a rope ladder, a small rowboat, a small motorboat, water skiing equipment, and several large cannons. As for props, the show needs several guns with fake bayonets. The show has excellent viewing from the new york area, and good viewing from both New England and The Southeast. The show will draw from hundreds to thousands of guests each day, at either one or two o’clock in the afternoon. Guests can feel the excitement of battle in this artistic representation of the battle of Yorktown. And now, I present to you, Independence! 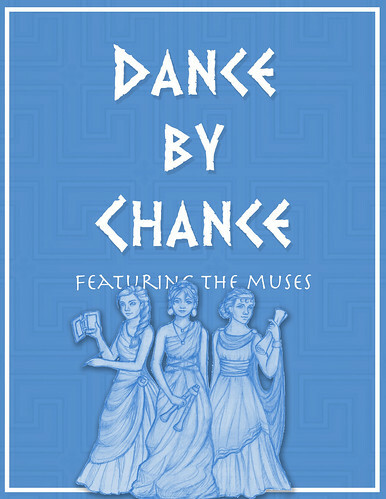 Dance by Chance (featuring the Muses)Dance with the Greek Muses on a comedic, musical journey through Europe! Greek legend tells of nine Muses, the patrons of literature, science, and the arts. The god Apollo presides over them, often asking the Muses to run errands for him and to interfere with the lives of mortals. 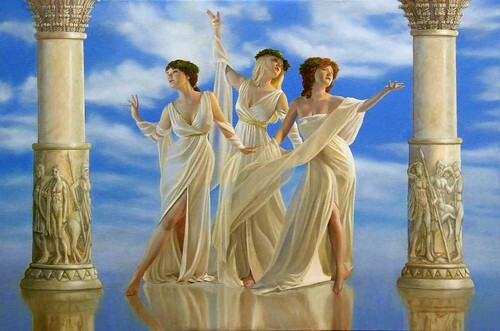 On this particular occasion, Apollo commissioned three of the Muses to retrieve the finest dances of Europe for a celebration amongst the gods. However, when something goes terribly wrong with their CPS (Chariot Positioning System), the three Muses stumble upon the foreign city-state of ImagineNations. Determined to please Apollo, they recruit the help of the land’s citizens and park Guests to learn dances from all across Europe in a lively, interactive, and humorous street show. Location and LogisticsDance by Chance performs outdoors in the town square area of the Europa land. Two giant floats and a stage roll out of a wide alley that’s blocked off by an elegant wooden gate and connected to the backstage area. Performers arrive from this alley and from other building fronts around the square. The show is a lighthearted and fun adventure through several different styles of dance, accompanied by three lovable Muses. 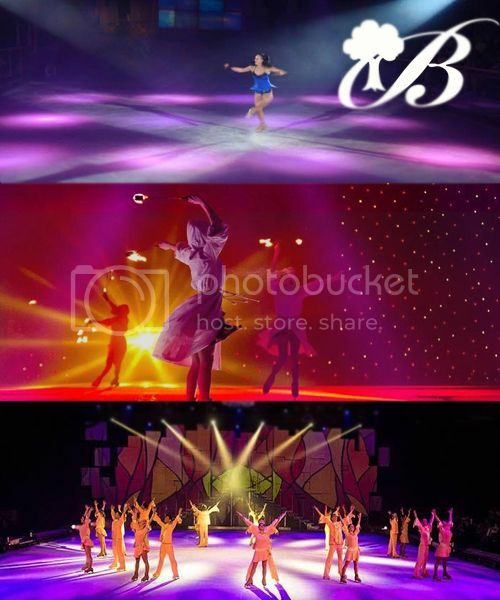 Because each of the four dance sequences is independent of the others, dance styles and routines are interchangeable, letting the show easily refresh itself. The visual inspiration for the three Muses. Jokes, some anachronistic, are sprinkled throughout the play. The humor is suitable for all ages and entertaining for all audience members; no one will leave the show without laughing. The Muses also engage in witty improv with Guests, further enriching the show experience and ensuring that every performance is unique. The show runs approximately 30 minutes and has three daily showtimes at 1:00pm, 2:30pm, and 4:00pm. DancesDance by Chance features four different dance styles from all across Europe. The Irish step dance routine lasts approximately six minutes and begins the show. It’s followed by a seven minute Austrian waltz sequence. Next is a brief, three minute Spanish flamenco. The grand finale is a seven minute French cancan. Below is a short video compilation showcasing the four dance styles and costumes similar to what the performers would wear. The ShowWhile this is a rough outline of the show, the performers are strongly encouraged to improvise their lines and add Guest interactions where they see fit. The music begins as a low rumble, sending tremors through the land. The gates of the alley swing open, revealing a magnificent chariot riding out on a wave of billowing fog. Two Muses are its noble passengers, togas flapping in wind and heads held high. Dramatic, slow drumming echoes throughout the streets of Europa, commanding the attention of any Guest in the vicinity. 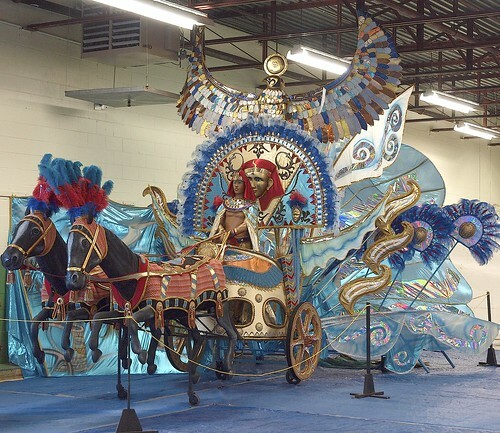 A chariot similar to the one in Dance by Chance. While themed Egyptian instead of Greek, this chariot parade float captures the scale and extravagance of the show’s chariot. The horses are simple animatronics, giving them subtle, lifelike movements. Terpsichore continues. “We’ve travelled across oceans, over mountains, through valleys, in-and-out of Trojan horses, and now we’re here, in the great land of -”. She freezes, and looks around hesitantly. With a nervous chuckle, she leans towards Euterpe. “Um…where are we?” she whispers. “Well, we better be getting on our way. We’re dreadfully behind schedule.” Euterpe declares as she steps back onto the chariot. Terpsichore follows closely behind her. “After this, I may need some wine myself!” Euterpe chips in. “So whatya say?” Thalia asks, making puppy eyes. “I think all of them want us to stay, right?” She gestures at the audience, eliciting cheers. “Well, I guess,” Euterpe begrudgingly concedes. “But we can’t be too long! The gods are expecting us soon.” Thalia cheers excitedly with crowd. The distinct tone of a fiddle rings through the streets. The Muses look around, startled. “What was that?” Thalia cries. From the alley, a single fiddle player slowly walks out. Behind him are several Irish step dancers, followed by a mobile stage that’s low to the ground. While in three separate pieces, they align next to each other to create a single stage for the dancers. “They’re citizens of ImagineNations!” Terpsichore concludes. “They’ve come to show us their dances!” The chariot float moves to the side of the village square, letting the stage roll to the center. Once the set pieces are in position and the dancers onstage, the fiddler steps to the side and stops playing. After a few suspenseful seconds of silence, a male and female dancer take centerstage and begin to step dance. It begins at a reasonable pace, gradually picking up speed as more and more performers join in the routine. Suddenly, lively Irish music blasts through the speakers and accompanies the dancers in their fiery routine. The fiddler plays directly in front of the stage, accompanied by a track. As the dancers impress the audience with their quick footwork, the three Muses are watching from their chariot. Thalia is eager to join the dancers, but Euterpe holds her back. “I…want…to…dance!” Thalia cries, struggling to join the troupe. “You don’t even have the right shoes!” Euterpe answers. Eventually, Thalia pulls away from the clutch of her sister and runs onto the stage. As the dancers move across the stage, she narrowly avoids their kicks as she searches for a pair of unused dance shoes. At the base of the stage she sees a pair, and Thalia rushes to pull them on. The music abruptly stops. One of the dancers steps forward and gestures for Thalia to do the same. She does, and they begin a call-and-answer routine. As the Irish step dancer performs a combination, Thalia repeats it. The combos quickly increase in complexity and length, culminating in a furious and frenetic series of high jumps and kicks. With a final stomp of Thalia’s shoe, the music picks up again for a last minute of high energy choreography with all the dancers. Thalia joins the line of dancers and executes the routine perfectly. As Guests roar with applause, the dancers take a bow and walk through the alley to the backstage area, leaving the stage behind. “You interrupted their beautiful dancing!” Euterpe chides. Out of doors from all around the village square, eight couples dressed in elegant ballroom attire stroll out. Men in dashing black tuxedos with coattails accompany women in sophisticated ballgowns. The men’s cummerbunds match the colors of their partners’ gowns. They make their way to the center of the square, but not without greeting Guests along the way. Terpsichore leaves Euterpe in the chariot, rushing to join Thalia who's sitting with Guests to watch the show. Waltzers assume their positions in the square, executing a beautiful Austrian waltz with intricate formations. Terpsichore and Thalia sway from side-to-side with the music, before finding Guests to dance with. After a series of impressive lifts, the dancers walk into the audience and find new partners. Guests of all ages are escorted into the square by the dancers, individually instructed in a simplified waltz choreography. Guests watching have the perfect opportunity to videotape friends and family. After approximately two minutes, the dancers encourage a round of applause for their partners and return the Guests back to the audience. The dancers meet in the middle for a waltz finale, Terpsichore and Thalia among them. Their sister Euterpe still watches from her perch in the chariot. With a final crescendo of the orchestral music, the dancers bow and walk offstage. “Wasn’t that fun?” Thalia asks, still waltzing around the square by herself. “Absolutely!” Terpsichore says, slightly breathless. “I can’t wait to show Apollo!” The rapid strumming of a guitar suddenly echoes throughout the street. Terpsichore and Thalia drag their feet back to the chariot as a single flamenco dancer graces the square. Castanets in hand, she begins a passionate and intense solo routine. Midway through her dance, she glides over to a random male in the audience. Humorously, she strokes his shoulder and clicks the castanets in a circle around his face before briskly turning away with a flourish of her dress. Although about half the length of the other dance numbers, the fiery emotion of the flamenco is palpable. As the dancer gracefully leaves the stage, Euterpe prepares to return to Greece. “Citizens of ImagineNations, thank you for your hospitality. We really should be getting to the Symposium, but - what’s that?” A flourish of a violin can be heard, and then silence. After a brief pause, Euterpe continues. “Anyway, we sincerely appre-” Violins flourish again, followed by an answering flute and the ring of a triangle. Euterpe looks around hesitantly. “Come on, just one more dance!” Thalia pleads, jumping from the chariot. The violins begin once more, ushering in a new dance number. Terpsichore joins her sister in the center of the square. “Come on Euterpe, dance this one!” Euterpe sighs and holds her nose high. “We’re going to be inexcusably late!” she insists. The gate of the alley opens again, and a massive red windmill float drifts out. Guests may recognize it as the iconic Moulin Rouge of Paris. The upbeat anthem of the cancan dance builds in the background, and the windmill glides into the square. Fog begins to spill out from the top windows of the windmill, completely surrounding the float. Female cancan dancers emerge from the fog, exiting a backdoor in the windmill. 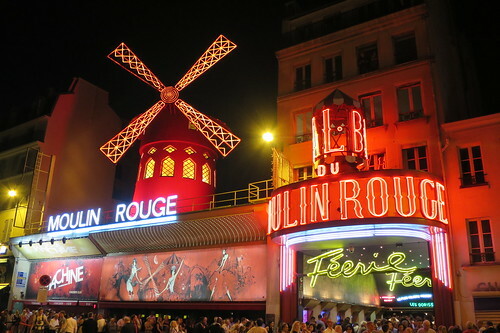 The Moulin Rouge of Paris. The float is modeled after the windmill on the building’s roof. Ten dancers begin an energetic, fast-paced dance with cartwheels, splits, and gravity-defying kicks. A minute and a half into the routine, ten male dancers exit the facades of the buildings around the square, joining the female dancers. Thalia pulls two of the male dancers to the side and points to her sister in the chariot. As the routine continues, the two dancers pick up a struggling Euterpe and carry her into the square, much to her chagrin. They drop her right in the middle of the cancan dancers, now forming a line with their signature high kicks. At first she squirms around, but slowly Euterpe starts to sway with the line, each of her kicks getting subsequently higher as a smile creeps onto her face. Meanwhile, Thalia and Terpsichore have been forming lines of Guests to participate in their own cancan lines. Once again, Guests are creating memorable experiences that are certain to be captured with photographic evidence. As the show nears its grand finale, Guests are politely returned back to the audience to witness the spectacle. Thalia and Terpsichore join the dancers, Euterpe enthusiastically among them. Sparks begin to shoot from the blades of the windmill, and the music escalates to a climax. With a final crash of the cymbal, the dancers drop into splits and confetti shoots out of the Moulin Rouge, surrounding the performers in a swirl of colors. “Wasn’t it fun? We have so many new dances to bring back to the gods!” Terpsichore cheers in delight. “Dance by chance, imagine that!” Thalia says. “I can’t wait to bring them back to Apollo!” The three Muses climb into the chariot that’s slowly returning to the alley. They wave at the crowd of Guests as they exit, bidding farewell to their newfound friends. ConclusionWith a combination of live performers, stunning dance numbers, and extravagant set pieces, Dance by Chance is an energetic and humorous show that will leave Guests smiling and swaying their way through the rest of their day. The deadline for Challenge 5 has now passed. Thank you to everyone for your submissions. We will have critiques and rankings out as soon as possible. In the meantime, Challenge 6 has been posted, so go ahead and get started on it as soon as you are ready. Chad, as you have elected to use your Real Life Pass you will proceed to the next challenge. However, you will be subjected to the bottom three penalty in that challenge. Therefore, in order to make it to the final you must win Challenge 6. I encourage you to get started as soon as possible since the next challenge will be an intense one. Douglas (Fantazima): First off, congratulations on creating something that I never even thought of as a possibility for this challenge without actually breaking any rules (though this proposal may force us to modify them in the future). Only in Russia could an ice skating show be pitched as a street show. With nighttime temperatures possibly in the 20s (Fahrenheit), I do wonder if you'll be able to successfully persuade guests to leave the climate controlled interior of your park for an hour or more to view the show, but for those that are okay with the cold it is absolutely worth the experience. Your performance is very enjoyable, with the observer acting as a guide for the audience as they are taken through the world of several paintings. You've done an excellent job of bringing the art to life with simple props instead of massive set pieces. 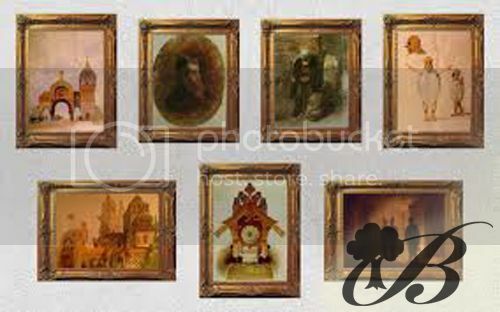 The paintings you've chosen to depict represent an excellent selection of Russian artwork, and the musical accompaniments are excellent selections as well. Your show appears to be more of a sensory show than a story-driven experience, but there is enough narrative to tie everything together. I do worry that the finale of the show may be a little overkill, but as this show doubles as your nighttime spectacular it makes sense to end with a big punch. Now, however, I must get to the big negative of your attraction, and unfortunately it is huge in my mind. Your decision to perform this show on a frozen lake, as unique as it may be, is also a tremendous hindrance to your performance. You intend to run the show from October to February, but based on my research October often gets into the 40s during the day and temperatures above freezing are not uncommon in November either. Realistically, you will probably have a good enough freeze to perform the show reliably from early/mid December to mid/late February, but a single warm spell in that time could stop performances for a week or more. Additionally, ice conditions can change quickly, so it is entirely possible that heavy usage during the day could render it unsuitable for the nightly performance. Lastly, with it being winter, tourism to Saint Petersburg is likely to be low so attendance at the park may be limited. Honestly, I really hate to say this, but I think you've created a show that is excellent on paper but likely highly impractical in the real world. I do think an ice skating show would be excellent for your park, but as a smaller seasonal production and not the grand nighttime spectacular. Karina (Music Lights the Dark): As soon as I started reading your proposal, it gave of a vibe of "Paint the Night crossed with Electronica." Given the popularity of both events, I think you made a very good concept choice for a nighttime street show. With the theme of your performance, utilizing a mobile stage is a great fit, but I have to question why it is brought out over an hour prior to the performance. Why not make a big deal out of the stage arriving to kick off the party? Making Mickey Mouse the DJ for your performance is a great choice, as he remains a presence without dominating the performance, though Minnie should also be involved in some way due to the princess theme. You have made excellent character selections for your performance, with all fitting into the royalty theme of your park. Each character gets their own moment in the spotlight without any one character dominating the performance. My main concern is the logistics of having characters appear, as there isn't really a backstage for this performance. My suggestion, therefore, is to turn this into a hybrid of a parade and a dance party. For example, each of the princesses arrives on a lighted parade float representative of their character (Cinderella: Carriage, Pocahontas: Canoe, Ariel: Clamshell, etc.) at the proper time. They exit the float, perform their piece, then join the remaining characters on stage while the vehicles park to the side. At the end of the party, everyone gets back on their transport and heads out with Mickey leaving last on the stage. I also suggest you refrain from pyrotechnics for safety reasons and that you try to get the audience in on the party, particularly for the finale. One last suggestion...run the show 2-3 times instead of just once, as it will undoubtedly be popular and good viewing is likely limited. Overall, however, you've created an excellent high-energy street show that would be popular with many visitors and would be a good way to close out the day. While parades are certainly popular, I think something like this is more engaging and I've got a feeling it would be a real winner with audiences. Realdonaldduck (Independence): Taking a historical battle and reenacting it as a theme park show fits your park nicely. However, if you do not intend to be historically accurate it may be better to instead create a Revolutionary War show that isn't referencing any specific historical events. Using a narrator to set up the show is a good decision, but having them throughout seems more distracting than beneficial. Once the show begins, the action within should be enough to tell the tale. The battle on the Island is a great start to the show and this would be a good way to bring the audience up to speed on the war if overlaid by the narration. Once the ships enter, everyone in the vicinity is likely to stop and watch the show. Unfortunately, if the ships are simply firing at each other for several minutes, many spectators may leave. Have the ships sail out to their specific show position in 60-90 seconds, then begin the boarding attempt. I'm a little confused by the aquaflyer soldiers and the rowboat. Either use a rowboat and have them climb the side of the ship (the more accurate method), or discard the rowboat entirely and have them come flying out to maximize wow factor. There is no need for both. Once the British ship is boarded, it may be a good opportunity for an action break to help with the story, particularly if the narrator were removed. The point of shrinking the ships is to see the actors on deck, so have something interesting occur and not just continuous fighting. Once the jetskis become involved, the show unfortunately becomes a bit of a mess with the audience being forced to look all over the place as action takes place everywhere. I suggest either leaving the jetskis out of it or making that the clear focal point with little of interest occurring elsewhere. The ending of the show also seems very abrupt with the British suddenly surrendering. Overall, this is a solid concept and a decent stunt show, but it just isn't that engaging. At first, there isn't enough going on, then you flip the coin and suddenly there's too much at once. With some refinement, you could have a show that rivals Waterworld, but the version you've presented comes up a bit short. Andy (Dance by Chance): Of the four entries in this challenge, yours is the closest to what I think of as a theme park street show. You have a simple but effective mobile set, a basic yet engaging story, opportunities for the audience to be a part of the show, and just about the right duration to prevent the audience from dispersing prematurely. The four dance styles you've chosen represent a good cross section of European dances that are familiar to American audiences. The story involving the three Muses is an excellent way to frame your show and the muses themselves are great characters. I do think you may have included a few too many anachronistic jokes in your show, particularly in the opening sequence, though using that as a hook to draw bystanders in is an excellent strategy. Perhaps you could trim a couple of the more reaching ones. The introduction of the Irish dancers is excellent, and utilizing a live fiddler is just icing on the cake. The second dance routine is just as good, and I love the opportunity for guests to participate in the show. The Spanish Flamenco is a nice change from the previous sections as it features a less showy, more emotional dance. Finally, the cancan at the end of the show, complete with the Moulin Rouge float, is an absolutely phenomenal way to conclude your show. Overall, I honestly think this would be one of the best non-parade street shows in any theme park anywhere. It has every quality necessary to make it an appealing show and doesn't try to be anything more than it should. I really find very little to fault with this proposal, and the few things I see are extremely minor. Excellent job! Greetings, judges! (And apologies to competitors expecting this was another critique.) As always, of course, your critiques are appreciated and thoughtful. A little clarification might be needed for "Fantazima," even though I do not expect this to impact your judgments or ranking. When proposing, as we all know, things may seem clearer in your head than when presented. "Lake Kitezh" in the wintertime, as I see it, is much like the famed ice rink at Rockefeller Plaza in New York. That is, it's a simple surface of ice, not a deep body of water. (For summertime boating, this rink may be filled with deeper water.) New York's rink is used daily from October through February (the same months as I've proposed) in all weather conditions, and with higher temps than in Russia. With judicial zamboni applications, I'm sure shows and guest skating could both happen here. The other issue concerns St. Petersburg as a wintertime destination. It's true that more tourists come in the summer. Still, the winters have long been a major draw too, especially for people from Moscow, thanks largely to St. Pete's cultural scene (which flourishes specifically because they need a wintertime draw). Outdoor wintertime sports are big too, and my hope for "Fantazima" was to add to these existing winter traditions. This was such an interesting challenge because there were so many different ideas happening. There was so much creativity across the board, and I would certainly watch every single one of these shows. I just have to start by saying that it’s incredible that you’ve managed to actually create a show of this scale while being 100% rules compliant. From it’s music to it’s spectacle. Your show really is a work of art. But it’s not perfect. I worry that the underlying story of “The Observer” will be mostly lost to people without a background knowledge of the music as you’ve provided it to us. This makes your show more a collection of unrelated scenes than a show that tells a story to the unsavvy audience. Some of these scenes seem artistic and interesting, while others seem to really fall flat. I’ve also started to notice that you’re very good at not telling us how things work. You use phrases like “magically transforms” which work rather well. You give us an idea of how the audience feels watching it, but you’ve left me entirely guessing how it works from a logistical standpoint. Then there’s the whole question of an outdoor winter show in Russia. First, with your park being almost entirely indoors, it doesn’t mesh incredibly well. Second, visitors who don’t make it a point to see the show will definitely miss it, unlike in other parks where guests see the show happening whether they make it a point to or not. Finally, the weather. It’s often below 20 degrees Fahrenheit in St. Petersburg in Winter. There are definitely things to be celebrated about winter, but do people really want to do that when it’s 20? As a whole, your show is incredibly well done. My only reservations are its accessibility to visitors who haven’t done as much research as you, and your choice to have it outdoors. EDIT: I'm glad you've done the research on the weather. When I did I found that there was indeed a winter tourism market, but it's still really cold. Standing still outside, and having the opportunity to go inside to the rest of your park means this is still an issue for me. This is a really fun show, and it’s definitely a true “Street Show”. While it does take place at night, it is certainly not a nighttime spectacular. For me, your music choice is poor. It works for your show, but almost nobody wants to hear remixed Disney songs. I completely understand why you chose it, but people go to Disney to hear the songs the way they know them; people don’t like change. But, without it, your show couldn’t be the same. Mickey Mouse as a DJ is an excellent choice, as it allows him to be there without making the show about him, a balance I hope you’re able to find with the rest of your park. Also, since your show has no hidden areas (unless there’s some part of the stage you haven’t described), its going to be almost impossible to make characters “appear”. If you decide to frame it more like a dance party than a show, as I suggest later, perhaps the characters could join the party after their segment, rather than disappearing. I’m not sure what to say about the running time of your show, because it’s a very long time to watch people dance, but not very long to dance. So, if you want it to be more like a dance party with the characters, extend it. If you want it to be more like a show, make it shorter. Finally, your show is fun enough, and entertaining enough, but I don’t think it’s the kind of show people will line up to see, or go home talking about. I think people who would otherwise be just passing by will stop to watch, but I don’t think it will honestly draw more of a crowd than that. Overall, you have a fun show that would function even better as a “street party”, rather than in its current formation. This is a really interesting show that proves that you have a level of creativity far greater than a relatively basic shooter. More than any other point in history, it seems that unconventional methods of telling the story of the revolution are at a peak, as with Hamilton, and you’ve managed to do that in a rather interesting way with this show. By combining new technology with an old story, you’ve done something sure to wow audiences...and confuse them. It’s a really interesting concept that will surely draw a crowd, but anyone expecting history from this show is in for a rather rude awakening. Your narrator calls it “artistic”, but I’m not sure that’s really the right word. Maybe “stunt-filled” or something similar would be more appropriate. I like your choice to use a narrator, as it makes the show both a treat to watch, and people are learning things without knowing they’re learning, something real-life parks like EPCOT have always striven to do. I understand your choice to repeatedly say “rebels”, rather than Americans, since the majority of the people involved in the stunts are actually French, but it’s a park about America, and it might be better to take the liberties (you’ve certainly taken plenty already) and say “Americans”. I see your show as very sequential, with the fighting as a backdrop to the sequence of stunts, which is positive as it keeps audiences engaged without being confused by what to watch. I think you’ve over-estimated the aiming abilities of your cannons. There’s no way an audience will be able to tell where they’re aiming. They barely move, in reality. One thing I wish you did was build up the end a bit more. Maybe stop the stunts and get the action back on the land fighting, maybe backing the British into a corner. Whatever happens, the surrender should not seem random, but rather forced by the American troops. Overall, this is a really good concept, but it needs to be fine-tuned a bit more to be a truly great one. This is probably the show closest to a standard “street show” to happen in this round. Your show is entertaining and interactive, something sure to improve any street show. The video you’ve provided was very helpful in being able to envision your show. Thalia really makes the show much better than it would be without her, and the comedic elements really bring the show together. The framing dialogue does a good job of tying the show together. But, you say there’s some improv and then provide almost a full script. Okay, the dances. Your dances are good choices, and are all very iconic, but they just go for too long. At 7 minutes each, a person walking by, even one who stops, won’t know there’s more than one type of dance happening. It’s important to remember that for a show like this, people are going to walk by, stop, and decide in approximately two minutes if it’s worth staying for the rest of the show. If all they’ve seen is one type of dance, they’ll move on without ever knowing what your show is. Perhaps it would be better to include eight 2-3 minute dances. You have a lot of room to add them since you’ve only included Western European dances. You could include anything from Square Dancing to Russian Khorovod to traditional native American dances. Finally, I have one major critique of your show. This is a fun show that perhaps, with changes, people will stop to watch, but I don’t foresee people lining up to see it. There isn’t very much to it, and, frankly, small intimate shows of this nature don’t draw crowds. Not one of the live performances at EPCOT gathers a substantial crowd of people that watch from beginning to end. To me, drawing a crowd was a big part of this challenge, and I think you’ve “struck out” there. Overall, your show is entertaining enough, but I’m not sure people will make sure to schedule out time to watch it. Wow! This was such a difficult challenge to judge! Every single proposal was great! Good luck to all of you! -As is par for the course, you've successfully nailed down an attraction which fits perfectly within your theme. I don't think I need to say anymore, as what I've said in previous weeks still applies. You're attention to theme and detail are outstanding. -You've gone with a very traditional and classic performance. This is a risky move but one which I think is entirely appropriate to your parks location and surrounding culture. I'm glad to see you've kept to the classical elements of Russian culture and history. -I think out of all your entries, you've got the most unique one on your hands. The ice skating, coupled with the procedural narrative, are both innovative and well-thought out. You've got a pretty cohesive show on your hands, effectively telling a series of stories almost entirely through visuals alone. This is something which is difficult to achieve and I think you've pulled this off masterfully. -As I said in the Pros section, while I think you've made a smart choice going with a classical and traditional attraction, you may risk alienating some of your younger and less-mature guests, who may find the idea of an ice-skating show boring and dry. -While I do like that you have taken into account the need for an alternate show during warmer months, I would have liked to have seen just a bit more detail on what that would entail. -While the narrative is, generally, well-paced and timed, I am a bit concerned that some of the transitional scenes may be a little erratic and disjointed in practice. The one that sticks out the most is the transition from the market and into the catacombs. You hit a lot of notes in this show, but going from lighthearted elegance to dark and gritty evil may come as a shock to some guests—especially young children and families. -A musical celebration and attraction is something which is a time-honored Disney tradition. When you couple this with the fact that your park's theme is royalty, it's only second nature to begin summoning up all of those Disney classic tunes which so many prince and princes have sung in all of those classic films. This is a smart choice to have an attraction based around classic Disney tunes. -The outfits and glow effects would be a sight to see in real-time. I'm envisioning pure eye-candy and general fun. -You've got a good selection of Disney characters and songs, the majority of which would be well known by most of the guests watching. -I'm glad to see you've included Merida in this attraction. Brave has one of my favorite personal Disney soundtracks and Merida's story is very unique among the Disney/Pixar Princesses. -Maybe this is a personal thing, but EDM remixes of classic Disney tunes, with a DJ Mickey, doesn't seem to have lasting appeal in my opinion. While EDM and remixes in general are certainly all the rage right now, I don't envision the trend to stick around much longer. While this is great for the current generation of guests, I feel it may become dated rather quickly. I think you may have been better off sticking with classic rendetions of the songs. -While you've got a good selection of characters and songs, I think you've got some which are frankly out of place. While I know Pocahontas will be in your park, she's not exactly royalty in the traditional sense of the word. Neither is John Smith, for that matter. Again, I like Pocahontas (I even included a Pocahontas attraction in Realm of Imagination for TPA 6.1) but I think you're missing out on an opportunity to include a slew of other classic Disney royalty. -I've got to be honest, I think you could have done more with this concept. I think you went with the safe route here, which isn't necessarily a bad thing, but I was left wanting more. The concept has been done to death by Disney, and while it's tried-and-true, it doesn't exactly set your park from the rest of the Disney parks, which all have some variation of this concept (Festival of Fantasy, Soundsational Parade, Paint the Night, etc. etc.). -I'm glad to see you've gone with a historical re-enactment. This is something which fits within your overall theme and is something which I think the general public should be more exposed to. The Battle of Yorktown is certainly a defining battle in the history of America and one which every American should be familiar with and I'm glad to see you're keeping with your historically-minded park. -The naval battle as you describe it is certainly something which would be exciting and awe-inspiring to behold. Having it take place on your large, park-defining lake is also a smart choice, as it would be viewable from pretty much anywhere in the park. This would give the show plenty of viewing space and reduce crowd-control problems which may otherwise arise. -The battle re-enactment seems both historically accurate and well choreographed. This is something which is important to adding an authentic atmosphere to your performance. It would be a great sight to see. -I hate to be harsh, but I think you ruined a perfectly great performance with the unnecessary inclusion of modern-day stunts and technology. You went to great lengths to establish a historically true re-enactment at the beginning of your show, only to throw it all out the window towards the end with a bunch of stunts and crazy contraptions. I think this is a case of wanting two different types of shows and trying to merging them into one. If you went with a pure water stunt show, the concepts you've implemented would be great. As it stands, it feels like you are trying to shoehorn in unnecessary elements into the performance for the sake of being flashy. -This is related to my last point, but I think you would have some serious costume clashes which would immediately take the performance from a serious re-enactment into an almost satirical pastiche of contrary elements. The guests will see period appropriate costumes, boats, and weaponry for the first part of the performance, only to have performers in jumpsuits and jetskis come out towards the end. It feels like a very confused production. -You went to great lengths to establish a historically relevant show and park, and adding these modern elements diminishes the impact and theme you are trying to achive with your park. I think if you stayed with a strict re-enactment, you would have been better off. You could still have plenty of exciting elements such as explosions, cannon fire, musket fire, and ship commandeering without the inclusion of the other elements. -I love your entire concept. Everything is in perfect sync with your parks overall theme and tone. -The muses are a great choice as the driving characters for this type of performance. The banter between them would surely be entertaining and keep guests laughing throughout the entire show. -The conceit of having the muses look for dances for Apollo is a great touch and gives the performance a narrative reason for displaying these different dances. -The interactive elements of the show would be interesting and fun. Having the audience be a part of the performance is always a sure-fire way of garnering plenty of viewers and guests to the attraction itself. -The variation of dances is nice. You've represented a great range of traditional dances which many people would be familiar with but also are exciting and mesmerizing to watch. -I think of all the competitors, you've nailed down the idea of what a street performance is. -While I like the dances you've chosen, I think you're missing out on an opportunity to keep the performance fresh by not cycling out between a large pool of dances. -As much as the chariot is a great touch, it may not be necessary for this performance. It's a nice set-piece, but for a performance based upon dancing, I don't think it really adds anything to the atomosphere or performance as a whole. Again, another great round of proposals, all of which were a delight to read! Now that all the critiques have been posted, here are the rankings for Challenge 5. Congratulations to Andy Teoh for his winning submission, Dance by Chance! Karina and Realdonaldduck, you have both tied for last place. To determine who continues and who gets eliminated, the pair of you will now face off in a tiebreaker challenge. This challenge is very straightforward...design a retail location for your park. Your retail location may be either a small store or a major merchandise outlet, but it must be a stand-alone retail location and not directly tied to any of your attractions. Additionally, it must be a permanent fixture in your park...a mobile retail cart cannot be used. There is only one additional rule...you must design the retail location for the same section of your park that you used for your main attraction in this challenge. Therefore, Karina, your retail location must be located on Royal Boulevard, and Realdonaldduck, your retail location must be directly adjacent to Liberation Lake. Your proposal must be posted in this thread within 48 hours of the timestamp on this post. If you do not submit your proposal on time you will be automatically eliminated. If you have any questions on this challenge, please post them in this thread. Other than that, good luck! Hi again, I was wondering if my retail location had to be related to Liberation Lake, or just next to it? Thank you in advance for clarifying. Thematically, it should fit within whichever section of your park you choose. However, it must be placed on the lakefront of that section and must fit that placement aesthetically. Melting Pot is a new retail establishment coming to the New York area of America the Beautiful. Just down the street from the park entrance, Melting Pot will be something not to miss. The front of this building will look much like the front of Ellis island. It has large brick towers on the roof, many smaller windows, and brick walls. This building looking like Ellis Island causes it to fit in with the New York atmosphere. However, the backside looks much different. The bricks and towers are the same, but now we have, instead of doors and small windows, large bay windows looking out onto the lake. Guests can see the Statue of Liberty, and all around the park. But nobody comes into a store to look at the decor, and critique the information. They come in here looking for quality merchandise. Guests entering Melting Pot will find themselves open to quality merchandise, some of which cannot be found anywhere else in the park. Guests can look up their last names in two ways, the first being a history of the name itself. This is a definition of what the name means, and what language and country the name originated in. Guests can also look up the history of their family. Connected to Ellis Island database, nearly every family who came through is logged. Guests walk up to a touch screen “inside” a book (There appears to be open books on podiums, but instead of pages, there is a touchscreen), and type their name. They then choose “Name History” or “Family History”. A brief history will appear. Guests can also buy prints of this information. Guests can also buy frames for these prints. Ellis Island is about coming to America, so it only seems fitting that coming to the park merchandise is also sold. This includes your standard America the Beautiful T-shirts, hats, mugs, etc. But it also allows for quite a bit more. This is specifically referring to America the Beautiful scrapbooking materials. This includes photo albums, stickers, patterned tape, and anything else you might want to adorn your scrapbook. Not only is there scrapbooking materials though, in a separate room, you may have your photo taken at several of the park’s iconic places. One backdrop for each land, and several of Ellis Island and coming into America, this photoshoot will take guests on a trip around the park, without the hassle of other tourists getting in your way. Guests taking this opportunity will be given a card with a code. Once at home, guests may transfer those photos onto their device from our website, using that code. Visitors here may also find copies of famous documents, such as the Declaration of Independence, the Constitution, and Emancipation Proclamation, just to name a few. Guests also may find “American” themed souvenirs, such as models of the Statue of Liberty, and other decorations, and clothing. Guests may also find and purchase many books on immigrant’s lives. True and fictionalized stories of immigrants moving and living in the U.S. can be found here. Even still, what would America be without our foods? Melting Pot will sell a variety of cookbooks written by American immigrants from around the globe. Guests can now learn to make anything from Creole to Italian to Mediterranean foods. Fitting with our immigrant’s contributions, guests can also find many types of American music, that has been influenced by immigrants. This includes but is not limited to jazz, blues, rock n’ roll, bluegrass and funk. Whatever you like to listen to, Melting Pot has it. There will also be other items sold that do not have a designated location in this floorplan. As you can see, Melting Pot will be a great addition to America the Beautiful. Guests can find whatever they wish pertaining to immigration and coming to America. It’s location on the water and right down the street from the park’s entrance will make it convenient and a great place to find what guests are looking for. Disney memories are undoubtedly special and should be captured for lasting sentiments. Royal Portraiture is a fully functional portrait studio that caters beyond any guest’s expectations. With costumes, special event packages, park photoshoots, and custom items for sale, Royal Portraiture is a premier retail location and a must for anyone wanting to capture precious memories at Disney Royal. With wide glass windows and pastel colors, Royal Portraiture invites guests warmly into the store. The waiting room is cleanly decorated with some of the photographers’ best works. In a glass case there are some samples of custom photograph items displayed. A receptionist works at a white rounded desk. Two professional photographers work during business hours. Each has their own studio equipped with the same props and backgrounds. Royal Portraiture accepts both walk-in and scheduled appointments, but reservations are recommended, especially during peak season. The park photoshoots require reservation, however. Such can be arranged through the Disney Royal website or by calling in advance. The studio includes a very large walk in “closet” with adjacent personal dressing rooms. This closet is filled with dresses and attire of all varieties. It includes the classic prince and princess’ outfits as well as casual variations. There is a wide range of sizes for ages, and accessories are available as well. Guests can also bring their own clothes for the photoshoot, if desired. Each photographer has their own assistant who is readily available to help guests with dress sizes, makeup or any other concerns. During their scheduled time, the guest has time to get ready while the photographer prepares for their photoshoot. When reservations are made, the guest fills out a form with their photography session preferences (including but not limited to background, number of poses) to expedite this process. For walk-in appointments, a paper version is required. The time for each photoshoot varies, depending on the amount of people and number of poses. Appointments are made depending on these factors. After the photoshoot and the payment is finished, the guests are given an access code where they can view watermarked versions of their photos online. Then they confirm which one they would like to purchase for the package they already paid for. Additional photoshoot items can also be purchased online if desired. This online system helps to defray any unnecessary time between appointments. These photoshoots are scheduled at park opening and have limited availability. The photographers and their assistants accompany guests to scenic locations in the park for a natural setting. On occasion, park characters can be featured in guests’ photoshoots. Additional photos can be purchased with these packages. Retouching is available for free if desired. An additional $5.00 is charged for each additional person in the photo. Digital versions of the photo cost an additional $15.00. Royal Portraiture also caters to capture memories of special events such as weddings, engagements, birthdays, and other milestones. Custom photography items include: photo magnets, cubes, ceramic mugs, ceramic plates, iPhone and Android cases, glass prints, and coasters. Royal Portraiture provides guests with an array of options to customize their perfect Disney gift, while also providing quality service. Royal Portraiture creates and preserves Disney memories that can last a lifetime. Realdonaldduck and Karina, we have come to a decision. The votes were cast and we arrived at a unanimous decision. Realdonaldduck, you are the winner of this tiebreaker and will proceed to Challenge 6. Unfortunately, Karina, that means you are hereby eliminated from Theme Park Apprentice 8. Your park has a solid concept and you have shown much improvement in your proposals over your previous work, but in a season full of unique and innovative concepts it just came up a bit short. Thank you for participating in this competition and I hope you will try again in the future. Critiques for both of you will be up later this afternoon. Wow. This was one of the hardest decisions we've ever made. Both retail locations show incredible potential and execution. Your store is definitely the more traditional of the two proposed for this challenge. Now, that can always be a positive or a negative. But, I see your store as far more likely to actually make money, if not the more fun one. You stick to the basics, but with something added. Your store does a nice job sticking to its theme, and it's merchandise is appropriate. One concern of mine is its exact placement. You're a little ambiguous, but I worry it will block the view of the statue of liberty from your entrance, hence removing the whole point of a "weenie". In addition, you haven't really given us prices for anything, and I'd like more information on that in future retail proposals. Also, you're not selling very much signature merchandise here. Most of what you're selling can probably be bought online, and likely cheaper. But, what you've done here is taken those things and woven them together in a relatively cohesive way. Finally, you're store hasn't really decided if it's "America themed" or "Immigrant themed", but I think that's okay. So much of American culture has its roots in the culture of immigrants that they're nearly inseparable. Overall, I think you've done a good job with this, even if there are some things that you can improve upon next time. Karina, you've really gone outside the box on this one! It was definitely not what we were expecting, but it certainly fits in the park where you've placed it. Unfortunately, I'm unsure of the appeal of this experience to the average visitor. First, it takes a lot of time out of the day, and people would mostly rather be on rides, or experiencing the park. Second, your photoshoot, even the park shoot, doesn't do anything I can't do with a photo pass at WDW. Various locations around the park? Check. Characters? I can hold Tinker Bell in my hands! And I can get as many pictures as I want for $150, or free with an annual pass. That said, you've done a fantastic job with the execution. You've given us specific packages and pricing, which I really appreciate. So, you have a good concept here, and you've clearly thought it through down to the finest details, but I'm not sure that your establishment will make enough money to keep it open. Thanks to both of you for your submissions! I wish we could keep you both!! Realdonaldduck (Melting Pot): I was curious what type of retail location you would opt for, and while my expectation was a bit different I think your decision works well. I do suggest that you make the building look relatively uniform from all sides, but having windows that provide an unobstructed view on the lake side is a good idea. The theming and decor inside the shop is very appropriate. The ability for guests to look up their family history is likely to get those curious to step inside, and once inside it is more likely they will peruse the merchandise and end up purchasing something. I'm glad to see that you've got a mixture of general park merchandise and additional items unique to this location as it increases the appeal of your shop. I do question how well some of your merchandise will actually sell (particularly the generic American souvenirs, as they are likely available all over Washington, D.C.), but everything does have a place in your shop. The photoshoot section seems like the weakest part of your store as guests can simply take pictures as they travel around the park. It would work much better with backdrops of the real locations rather than the park sections. Overall, however, this is an excellent store and likely the signature retail location of your entire park. Karina (Royal Portraiture): Portrait studios are a staple at some theme parks, and given the nature of your park it is a good choice. The basic design of your studio is more functional than flashy, but given the idea of your park it may have been better to go with something a little more extravagant. I am worried about your shop being overwhelmed with only two photographers at a time. If you assume that it takes 30 minutes per group inside the photo studio, you're looking at maybe 50 groups in a standard operating day. I question whether this will be enough to satisfy demand, and even if it is I question whether it is sufficient to turn a reasonable profit. Giving guests various costumes to wear and various settings to choose from is the biggest appeal of this experience as it gives families a unique picture to show off to their friends. I'm a little confused how guests get their photos...do they pick them online and have them shipped, or are they printed and distributed on site? If the latter, the online system seems like it causes more complexity than it is worth. The prices you have listed seem appropriate, and are high enough to deter those who are merely curious yet not so high that a family will break the bank to do this. I also like the option to have your photo placed on a souvenir item. Overall, this is a pretty good proposal, but I feel it is more of a specialized experience rather than a typical retail outlet. The concept is outstanding and definitely fits your park, I just question whether it will be able to serve enough visitors to be a profitable venture for your park. Once again, thank you both for your excellent submissions. This was a very tough vote, but unfortunately somebody had to go. Thank you for the opportunity to compete in my second season of Theme Park Apprentice. I appreciate all of the judges' great feedback, and I loved reading the other competitors' proposals. Best of luck to you all! Karina, you are a class act. I've seen your proposals grow and mature over the past two seasons, and I really, REALLY hope you continue to compete. You have developed into a serious competitor, one that future TPA competitors should not take lightly.